Fifteen individual research projects are embedded in the ExSIDE research agenda and the 15 ExSIDE doctoral fellows will work on these projects such that one fellow is matched to one project. The individual research projects have different research objectives and rely on different methodological approaches. Each project is associated with two degree-granting universities in the ExSIDE consortium and has one supervisor from each of these universities. One of the two degree-granting universities (also labeled as hosting universities) is the recruiting institution and the doctoral fellow will have a work contract with that university. For each project there is also a mobility plan indicating the planned stays at the second degree granting university and the non-academic partner associated to that project. Below all 15 individual research projects are described in detail. These descriptions also indicate the desired profile of qualification for an applicant intending to work on this project as doctoral fellow. How are expectations formed in group experiments? The project examines the effect of framing, group size and properties of the economic environment on expectation formation. Strong background in macroeconomics and finance. Experience in running laboratory experiments with human subjects is considered a plus. Laboratory experiments will be run in generic expectations feedback systems, which may e.g. be classified by the distribution of eigenvalues of dynamic systems. Classical applications of feedback structures in financial macrosystems, e.g. asset pricing models and New Keynesian DSGE models, will be included as generic examples. Fundamental questions are: i) How does expectations feedback (e.g. positive/negative/mixed feedback) affect individual and group behaviour? ; ii) How does group size affect aggregate behaviour? Are larger groups (de)stabilizing? ; iii) How does the forecasting horizon affect the (in)stability of market expectations? ; iv) How does the framing (e.g. neutral, stock market, macro) affect herding and trend-following behaviour of individuals? ; v) How does network structure affect the (in)stability of expectations in a group experiment? Empirical foundation of a universal behavioural theory of expectations that can describe individual and aggregate behaviour across different generic feedback settings. In project 2 different expectation formation models are tested using real world data. It is studied how the context and the framing of the real world data affect behaviour of individuals and the expectation formation process. Strong background in microeconomic and macroeconomic foundations of models for economic policy and finance. Experience in running laboratory experiments with human subjects is considered a plus. The project aims to conduct expectations experiments using real world data as stimulus in the study of the macrodynamics of monetary and financial markets. What is the role of sentiments and narratives for the perception of economic policy? The project analyzes how policy design is influenced if these aspect of policy perception are taken into account. Strong background in dynamic economic modeling (including simulation methods) as well as expertise or interest in modelling bounded rational behavior. Some background in psychology is a plus. The aim of this project is to obtain a better understanding of the stance and effects of monetary policy once sentiment and narratives around policy are taken into account. The work of the ESR will involve algorithmic text search of central bank minutes to extract sentiment dynamics and relate it to policy perception. The approach is based upon a validated theory of human decision making under uncertainty, namely conviction narrative theory. The textual search will be directed by social psychological theory. Insights about the perception of policy will be integrated into monetary policy models to study the impact of such sentiments on policy effectiveness and optimal policy design. i) insights about time series properties of sentiment dynamics and their relationship to the evolution of monetary policy measures; ii) introducing sentiment dynamics into monetary policy models. In this project the role of “anticonformist” agents for opinion formation dynamics is studied. Under which circumstances can anticonformist agents impose their opinion to a society? Strong background in mathematical methods (as Markov chains, dynamical systems (including physical systems), stochastic processes, linear algebra, computer sciences, discrete mathematics), good knowledge of quantitative economics. The main objective of this project is to examine the impact of “anticonformist” agents (i.e., they have the tendency to have the opposite opinion of the majority) in a society of conformist agents. Both the cases of binary opinions (yes/no) and opinions on a continuous scale [0,1] will be considered. In the former case, work will build on Grabisch and Rusinowska (2013), where the probability of changing opinion for an agent is governed by an aggregation function, taking as input the opinion of the other agents. The main questions to be investigated are: i) What are the possible final situations of the society of agents: consensus, split of the society, cycling, etc.? ; ii) What are the conditions under which these different situations arise? In particular, when may anticonformist agents impose their opinion to a society? Is a chaotic change of opinion avoidable? i) clear understanding of the dynamic of opinion (either on a discrete or continuous set) in the presence of anticonformist agents; ii) being able to answer the above questions, most notably about the conditions, under which a small group of anticonformist agents may reverse the general opinion, or about the emergence of a chaotic situation. 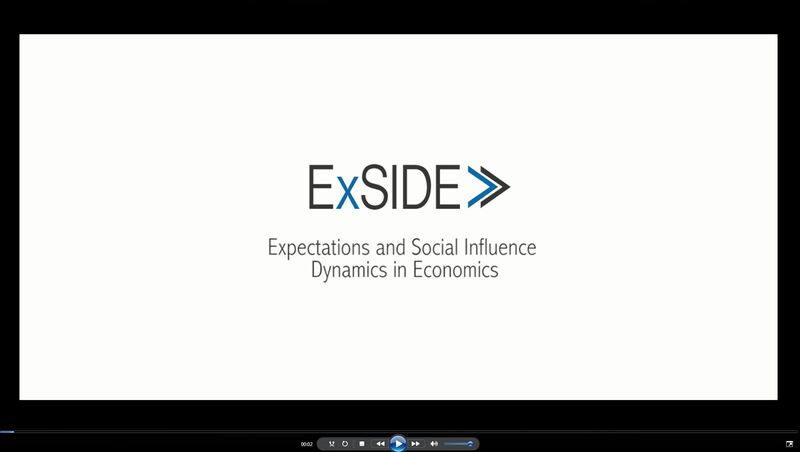 The agenda of this project is to examine how social interactions can influence expectation formation dynamics. How can policy makers use social influence dynamics to increase the effectiveness of their policies? Strong background in microeconomics and solid knowledge in the areas of dynamical systems and network analysis. Experience in the use of numerical methods for the analysis of economic dynamics is considered a plus. In this project it will be studied how local interaction effects, as present in the opinion formation literature, influence the dynamic formation of heterogeneous expectations in a population of economic agents. The process of opinion formation can influence the economic outcomes via the expectations and vice versa. Furthermore, the project aims to understand how the presence of social influence in expectation formation affects optimal behaviour of a policy maker who wants to influence the expectations of agents. i) development and analysis (using analytical and numerical methods) of models incorporating the coevolution of social influence and expectation formation; characterization of frameworks where different long-run opinions and non-consensus about expectations may emerge (depending e.g. on whether the expectation formation process satisfies strategic complements or substitutes); iii) characterization of opinion leaders for expectation formation and analysis of the implication of such opinion leaders for policy design. In project 6 the spreading of opinions in social networks is analyzed. Who are the most influential individuals? How can firms disseminate a new product or technology effectively in a society? Strong background in microeconomics and mathematical methods, solid knowledge in network analysis. Experience in the analysis of economic dynamics is considered as plus. The nature of the connections between individuals in a social network influences the likelihood of diffusion. Knowing this, firms may invest in identifying and targeting influential individuals or opinion leaders, and then seek to optimally incentivize them to spread the message. This project aims at developing a threshold model defined over a graph representing a social network of forward-looking potential adopters in order to analyze the diffusion of an opinion, a new product or technology within the society. i) addressing fundamental questions on how social contagion and opinion leadership affect new product diffusion when individuals are limitedly forward-looking; ii) insights on how competition between innovators is influenced by the presence of forward-looking individuals. In this project it is studied how, homophily in networks, i.e. the tendency of individuals with similar characteristics to be connected to each other, emerges. Is homophily more prevalent if individuals are myopic or if they are forward-looking? Strong background in game theory and mathematical methods for economic dynamics, with a solid knowledge in network analysis. Experience with models of learning or cognitive representations is considered a plus. Social networks may be helpful in providing better job opportunities and in screening the quality of potential workers, but it can also lead to homophily and segregation. Homophily has an important social and economic implication as it leads segregation, thereby influencing the diffusion of information and opinion, individual’s behaviour and the interaction they experience. The aim of this project is to gain a better understanding of whether we observe more frequently homophily and segregation when individuals are forward-looking rather than myopic. i) analysis of network formation models with forward-looking individuals; ii) examination of policies aiming at the reduction of persistent homophily and segregation (e.g., subsidizing/taxing the links formed by one individual or by a group of individuals, which individuals should be targeted?). How are wages and wage inequality in an economy influenced by the workers’ wage expectations? In this project the implications of different types of expectation formation processes on wage dynamics are analyzed. Strong background in quantitative economics. Experience in mathematical modeling of the labour market and in agent-based simulations are considered a plus. In spite of strong empirical evidence for the importance of job-to-job movements in the labour market and of wage bargaining, so far the theoretical treatments of on-the-job search with bargaining rely on not fully convincing assumptions. In this project we argue that the failure of the existing literature to develop a unified framework for job movements with bargaining is due to the strong assumption of perfect foresight and full rationality of economic agents. This project will explore how different mechanisms of wage expectations formation influence the dynamics of average wages, as well as the evolution of the wage distribution. The starting point of the analysis will be a scenario where wage expectations are formed using least square learning based on publicly available data about the wage jumps in cases of job changes. The analysis will then be extended to cases in which the population is segregated with respect to the data they have access to. Finally, also scenarios where expectation rules change over time due to social interaction, as in Brock and Hommes (1997), will be considered. i) development and analysis (combining analytical and numerical methods) of a class of (calibrated) labour market models integrating a search and matching approach with dynamic expectation formation processes; ii) new insights on how expectation dynamics influences wage growth and on how far transient differences in wage expectations might induce wage inequality, thereby reinforcing expectational differences. This project explores the role of expectations for the transmission of shocks from the financial to the real sector of the economy. How dangerous can expectation coordination be for economic stability? Strong background in macroeconomics and finance. Experience in agent-based simulation is considered a plus. This project will study macro-financial Agent-Based Models (ABM) with heterogeneous expectation formation processes. In existing macro-financial ABMs expectations are formulated rather ad hoc, e.g. through simple adaptive expectations. The goal of this project is to systemically study the role of behavioural heterogeneous expectations in macro-financial ABMs. In particular there are two main focuses: i) we will study the role played by heterogeneous expectations and coordination on trend-following behaviour in the transmission mechanism of shocks from the financial to the real sector of the economy; ii) the macro financial ABMs will be calibrated on macro-financial time series data and/or laboratory experiments. In particular, we will focus our attention on studying how policy parameters may affect macro-financial stability and dynamics under heterogeneous expectations and how policy can prevent/manage coordination on trend-following behaviour. i) obtaining new insights into the role of heterogeneous expectations in macro-financial ABMs. ii) developing a bottom-up macro-financial ABM which is suitable for monetary and fiscal policy analysis. The project studies the importance of confidence in Central Bank announcements for the effectiveness of monetary policy. In particular it is examined how the Central Bank can manage heterogeneous expectations in the economy. The candidate is expected to have a strong background in economics with an emphasis on macroeconomic modelling. Experience in agent-based simulation and programming skills in MatLab, C++ or similar softwares/languages is an advantage. The effectiveness of monetary policy nowadays is influenced at the same time by (i) the financial conditions of the main categories of agents (firms, households and – above all – financial intermediaries) and (ii) the credibility of central bank communication activity in providing “forward guidance” to the economy. The main objective of this project is to build and analyse a macro-dynamic model with financial factors, in which there is a two-way feedback between agents’ expectations and central bank policy (and communication): i) expectations affect monetary policy making; ii) central bank communication may affect agents’ expectations, an issue that has become more and more important in recent years. The goal will consist in illustrating, for example, how a sudden collapse of “confidence” in central bank’s announcements may disrupt the monetary transmission mechanism and make any policy ineffective. i) improved understanding of how agents’ behaviour is affected by central bank’s announcements in different economic context (e.g. rules vs. discretion); ii) guidance on the central bank role in managing heterogeneous boundedly rational expectations. The aim of this project is to develop an empirical behavioural macroeconomic model suitable for the study of monetary-regulatory policies. The interplay of rational and bounded-rational agents will be studied. Strong background in macroeconomics, finance and econometrics. Experience in model estimation of macro models is considered a plus. This project will construct a standard Smets-Wouters macro-model augmented with a banking sector (e.g. Gertler et al. (2012)) and fitted to Euro data. The innovative features of the model will be the incorporation of bounded-rational agents alongside rational counterparts, reinforcement learning to endogenize the distribution of agent types and the use of non-linear estimation method that capture the crucial highly non-linear features of the learning mechanism and the financial features (see Kollman (2015)). i) an empirical behavioural macroeconomic model suitable for the study of monetary-regulatory policies; ii) building on software provided in CIMS (2015) new software tools for the estimation of medium-sized highly non-linear macroeconomic models of general applicability, which will be made widely available as a toolkit. This project examines key factors determining supply of credit in Europe. Particular focus lies on the role of expectations of financial actors and its interplay with monetary policy. Strong quantitative background, e.g master in applied mathematics, physics, quantitative economics, statistics or computer science. Good knowledge of the organization of the financial system and of the mechanisms of monetary creation. Strong interest in policy issues. 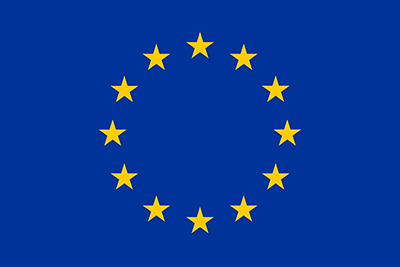 The aim of the project will be to develop a parsimonious agent-based model of the European financial system in order to investigate how the expectations, the objectives and the interactions of financial actors affect the transmission of monetary policy and determine the structure (duration, support, beneficiaries, amount) of the supply of credit in Europe. Our aim is to understand precisely where in financial networks potential barriers and accelerators of monetary policy are and how the details of the implementation of a policy (e.g. type and duration of refinancing operations, frequency and magnitude of changes in central bank rates) affect the speed and the efficiency of its transmission. i) model based analysis of both historical examples (e.g. financial liberalization policies, the 2007 financial crisis) as well as contemporary issues such as the links between targeted refinancing operations and the long-term financing of the European economy; ii) providing suitable models to enter central banks’ portfolio of simulation tools and be used to analyse how the micro-economic and micro-structural aspects of monetary policy implementation affect its transmission. The project analyzes in a macroeconomic setting how expectations form if information acquisition is costly and individuals decide on how much information to acquire. How is optimal policy design influenced by the cost of information acquisition? The candidate is expected to have a strong background in economic theory (ideally both micro and macro) as well as economic dynamics and be ready to develop computational tools tailored to the tasks described in the project’s objectives. In the last decades a large number of macro agent-based models have been developed in the economic profession. However these models lack two potentially important aspects, namely the crucial role played by agents’ expectations and the importance of agents’ information acquisition choices. This project will focus in a heterogeneous expectations framework on the interplay of information acquisition choices and agents’ actions. Scenarios will be considered, which are characterized by the presence of strategic complementarity or substitutability in actions, and of externalities that are responsible for possible wedges between the equilibrium and the efficient acquisition of information. Special attention will be devoted to the impact of heterogeneous expectations and information acquisition (and efficiency) on the effectiveness of monetary/fiscal policies over the business cycle. i) development of a new class of macro-agent based models that incorporate explicitly heterogeneous expectations and agents’ information acquisition choices; ii) econometric tests of the match of model output with real world data; iii) policy experiments using the developed models. Should monetary and regulatory policy have coordinated mandates? The project examines the implications of coordinated versus uncoordinated mandates in a behavioural macroeconomic model augmented with a banking sector. Strong background in macroeconomic modelling, finance and econometrics. Experience in model systems estimation of macro models is considered a plus. This project will explore the post financial crisis debate concerning the role of monetary and regulatory policies to deal with business cycle fluctuations and financial risk. Mandates will be studied in the form of both simple policy rules (Levine and Lima (2015)) and policy objectives formalized as loss functions (e.g. Debortoli et al. (2015)). The model will consist of a behavioural generalization of a standard Smets-Wouters macro-model augmented with a banking sector (e.g. Gertler et al. (2012)) and fitted to European data. The innovative features of the study will be the examination of coordinated versus uncoordinated mandates or simple rules in such a framework and special attention to the design of robust rules, see Levine and Pearlman (2010) or Levine et al. (2012). i) insights about the effectiveness of monetary and regulatory policy instruments in a coordinated versus decentralized fashion; ii) answers provided to these questions will have important implications for the creation of unified versus independent institutions for the conduct of monetary and financial regulatory policies. This project examines the design of optimal tax enforcement policies, taking into account that expectations about the efficacy of law enforcement influences the prevalence of tax evasion. Strong quantitative and economic background, e.g. master in quantitative economics, applied mathematics, applied statistics. Experience in agent-based models, computational economics and complex systems is considered a valuable plus. Growing empirical evidence and a handful of recent models acknowledges that tax evasion is affected by the taxpayers’ expectations regarding the penalties possibly incurred and by the assessment of the quality and timely delivery of public services. This project aims to model tax evasion in an environment where power and trust of the public institutions are taken into account, see Kirchler et al. (2008), together with considerable heterogeneity in agents’ expectations and perceptions of the efficacy of enforcement. In an agent-based computational framework different policy measures will be simulated to estimate the time-scales at which they can be deemed useful or effective. i) comparison between the cost-efficacy of policies based on increased deterrence (more audits, harsher fines) as opposed to trust-enhancing measures (better communication, proactive help services for taxpayers, pre-compiled tax forms…); ii) provision of computational tools to estimate dynamics of policy effects and rank policy options according to their time-effectiveness.